Providing you the best range of mint oil and fruit flavours with effective & timely delivery. 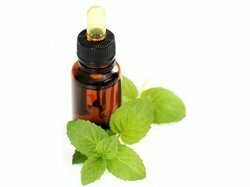 We are known to providing the high quality of Mint Products. We offering encapsulation/Spray Drying facility for Active ingredients like Menthol, Peppermint Oil and Spearmint oil etc. Encapsulation or micro encapsulation of menthol or essential oils consists in protecting these molecules with a dedicated envelope. Encapsulation can limit the degradation or loss of flavor during the various product processes and storage. The envelope can also provide functional properties, such as a controlled release of aromatic molecules in a given environment like water (if flavored tea), mouth (solid food: candy, toothpaste,) or spray. We are basically known to offer Flavours. A highly innovative procedure for encapsulating flavors has been developed by us with our CAPSO® Technology. Its authentic taste profile and preservation of the flavors top notes are impressive.